Do you need to keep tabs on an important Windows Service? Is there a service that you constantly start and stop? Why waste time opening the Services Control Panel application yet again when you can do everything quickly from a tray icon? ServiceTray will save you time by placing any Windows Service at your fingertips. For example, start your service with two clicks of the mouse. ServiceTray Free Download - we do not host any ServiceTray torrent files or links of ServiceTray on rapidshare.com, depositfiles.com, megaupload.com etc. All ServiceTray download links are direct ServiceTray download from publisher site or their selected mirrors. Disable switching to Session 0 on versions of Windows where Session 0 is no longer accessible (currently Windows 10 Version 1803 and later). 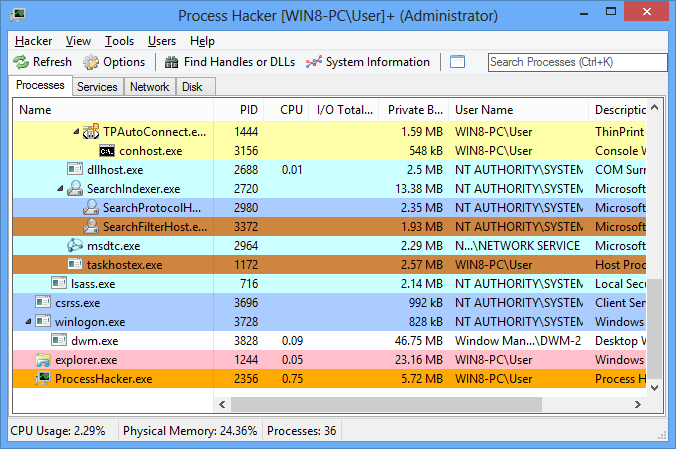 Improved performance when reading from the Windows Event log. Improved support for Windows 10 and Windows Server 2016. Technical enhancements for Windows Server 2019. 2.0.0.61 Jul 22, 2014 New Release Speeded up switching to Session 0 for AlwaysUp services. Minor tweaks for Windows 8.1 and Windows Server 2012 R2. Various fixes for 64-bit systems (due to incorrect compression).